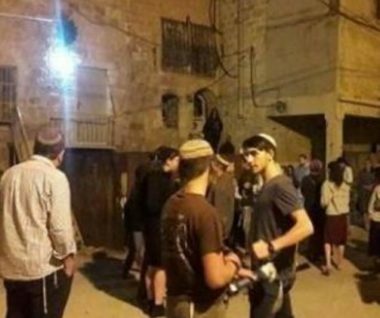 In related news, Israeli soldiers invaded the southern area of Hebron city, searched homes, and summoned an elderly man, Mohammad al-Jo’ba, 80, in addition to Kamel Mahmoud Ja’bari, and a woman, identified as Maisar Mousa Hasan, for interrogation in Etzion military base and security center, north of Bethlehem. The incidents happened hours after dozens of colonialist settlers hurled stones at Palestinian cars driving at the junction of Gush Etzion colony, north of Hebron, and shouted insults and threats at the locals. On Saturday evening, dozens of colonialist settlers hurled stones at Palestinian cars driving at the junction of Gush Etzion colony, north of Hebron, in the southern part of the occupied West Bank, and shouted insults and threats at the Palestinians.